[S1918] M. A. Leeson, History of Allen County, Ohio Containing a History of the County, Its Townships, Towns, Villages, Schools, Churches, Industries, Etc., Portraits of Early Settlers and Prominent Men, Biographies, History of the Northwest Territory, History of Ohio, Statistical and Miscellaneous Matter, Etc., Etc ... (Chicago, Illinois: Warner, Beers & Co.,, 1885), page 620. Hereinafter cited as History of Allen County, Ohio. Margaret (?) was born circa 1843 at Pennsylvania; estimated birth date from 1880 Census. She married Thornton Harn, son of Richard Williams Harn and Lucrita Cannon, circa 1864. As of circa 1865,her married name was Harn. Margaret Morris was also known as Maggie. As of 1888,her married name was Harn. [S1920] Nancy (Harn) Berman, "Email from Nancy (Harn) Berman 11Apr2006," e-mail message from e-mail address (n/a) to Steven Harn Redman, 11 Apr 2006. Hereinafter cited as "Email from Nancy (Harn) Berman 11Apr2006." Lucile Harn was born in November 1888 at Texas; info from 1900 Texas Census. She was the daughter of Camp Collins Harn and Margaret Morris. Morris Harn was born in November 1891 at Texas; info from 1900 Texas Census. He was born on 29 November 1891 at Austin, Travis Co., Texas; info from WWI Draft Registration Card. He was the son of Camp Collins Harn and Margaret Morris. World War I Draft Registration Card for Morris Harn in 1917, lists birthdate as 29 Nov 1891 in Austin Texas, single, states he is crippled in hip. Collie Camp Harn Jr. was born in November 1895 at Texas. He was born on 14 December 1895 at Austin, Travis Co., Texas; info from WWI Draft Registration Card. He was the son of Camp Collins Harn and Margaret Morris. 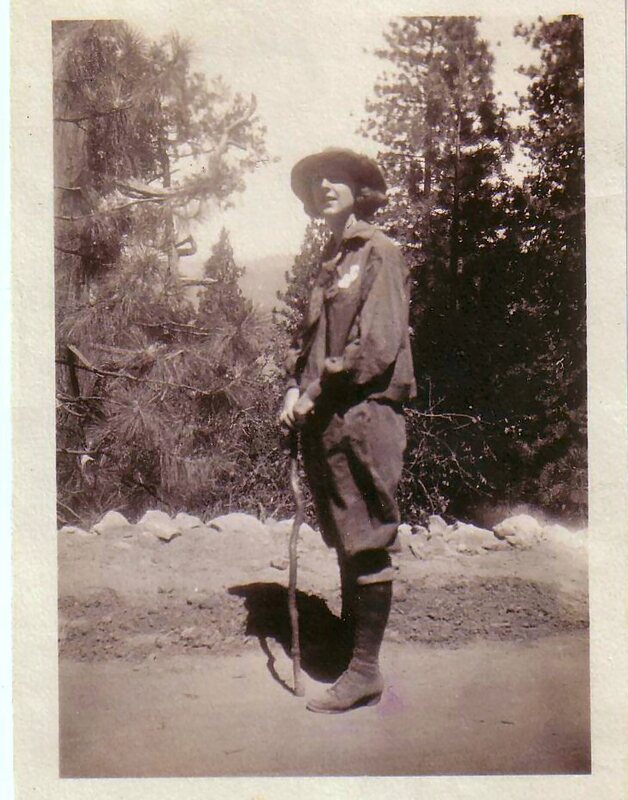 Collie Camp Harn Jr. married Lillie Elvera Frederickson circa 1927. Collie Camp Harn Jr. died on 13 December 1973 at Texas at age 77. He was buried at Austin Memorial Park Cemetery, Austin, Travis Co., Texas; Plot: 8, 26, 6. World War I Draft Registration Card for Callie Camp Harn in 1918, lists birthdate as 14 Dec 1895 in Austin Texas, single; physical description of tall, slender, blue eyes. Lavelle Harn was born in 1903 at Texas; estimated year of birth from 1910 Texas Census. She was the daughter of Camp Collins Harn and Margaret Morris. May Belle Harn was born in 1903 at Texas; estimated year of birth from 1920 Texas Census. She was the daughter of Camp Collins Harn and Margaret Morris. Lillie Elvera Frederickson was born on 8 December 1903 at Travis Co., Texas. She was born in 1904 at Texas. 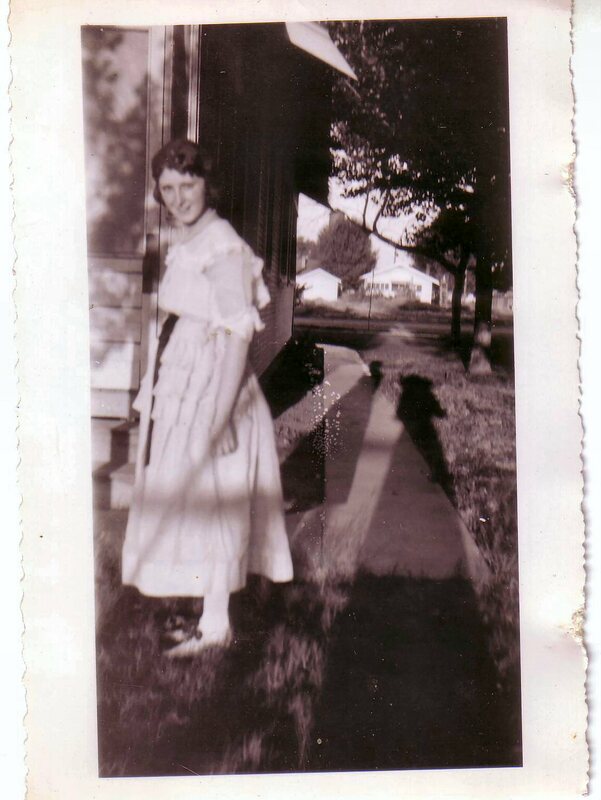 She married Collie Camp Harn Jr., son of Camp Collins Harn and Margaret Morris, circa 1927. Lillie Elvera Frederickson died on 24 January 1955 at Austin, Travis Co., Texas, at age 51. She was buried at Austin Memorial Park Cemetery, Austin, Travis Co., Texas; Plot: 8, 26, 5. As of circa 1927,her married name was Harn. Child of Lillie Elvera Frederickson and Collie Camp Harn Jr.
Vera Harn is the daughter of Collie Camp Harn Jr. and Lillie Elvera Frederickson. [S1919] Chris Treadway, "Email from Chris Treadway 27Sep2006," e-mail message from e-mail address (n/a) to Steven Harn Redman, 27 Seo 2006. Hereinafter cited as "Email from Chris Treadway 27Sep2006." Anna Harrison Barnitz was born on 14 July 1881 at Ft. McKinney, Johnson Co., Wyoming.1 She was the daughter of Dr. Henry Dangerfield Barnitz and Wilhemina Magill.1 Anna Harrison Barnitz married Levi O. Harn, son of Dr. Allen Duval Harn and Josephine Camp, on 10 December 1901 at San Antonio, Bexar Co., Texas.2 Anna Harrison Barnitz married August Rheberg.1 Anna Harrison Barnitz and Levi O. Harn were divorced on 5 May 1913 at San Antonio, Bexar Co., Texas.3 Anna Harrison Barnitz died on 28 October 1969 at San Antonio, Bexar Co., Texas, at age 88.1 She was buried on 31 October 1969 at Mission Burial Park, San Antonio, Bexar Co., Texas. be offered at 10 a.m., Rev. Terence Nolan as celebrant. Survivors: son, Richard B. Harn; sisters, Mrs. Augustua Armer, Houston, TX; Mrs. Rose Meehan, Pasadena, CA; 7 grandchildren, numerous great-grandchildren. Mrs. Rehberg was a member of St. Thomas More Catholic Church and had been a resident of San Antonio for the past 80 years. Pallbearers will be Richard B Harn II, H. L. Rehberg, Magill Armer, Harry Armer, Frank Futtrell and Al Domongue. Honorary pallbearers will be Patrick J Harn, Major John F Reinert, Elmer Gerhardt, Bill Futtrell, Col. Obra L Longley (Ret), Major Herman F Byron (ret) and Maurice Glende. Services under the direction of the Cude Family. Houston, Texas; Pasadena, CA and Omaha, Neb papers, please copy. residents thought this was in reprisal for their role in the 1892 Johnson County War.) The site (with three original buildings) is now the Wyoming Soldiers and Sailors home.) The cause of death was congestive cardiac failure, hypertensive heart disease (30 years), generalized arteriosclerosis (30 years), osteoporosis & osteo arthritis.1 Her Social Security Number was 467-74-4477. Census 1930 San Antonio, Bexar Co., Texas, 1930 Census (San Antonio, TX). Family lived at 284 Primera Dr. Owned home valued at $7000. August Rehberg & Annie lived with her mother, Wilhemina M. Barnitz, a widow. Annie listed as doing clerical work. [S1920] Nancy (Harn) Berman, "Email from Nancy (Harn) Berman 11Apr2006," e-mail to Steven Harn Redman, 11 Apr 2006, marriage record. [S1920] Nancy (Harn) Berman, "Email from Nancy (Harn) Berman 11Apr2006," e-mail to Steven Harn Redman, 11 Apr 2006, divorce record. Dr. Henry Dangerfield Barnitz married Wilhemina Magill. Wilhemina Magill married Dr. Henry Dangerfield Barnitz. Her married name was Barnitz. and three native sandstone chimneys, two located on the north side and one on the south side of the house. originally detached kitchen were added to the rear. In 1971, the house was rehabilitated to its present condition. north-northeast of the house. Both exterior structures, and the house, occupy approximately 5 acres. the present resident. Mr. Wier restores the cellar and the north front chimney in 1971.
holding tank, and grazing land occupy the site. Museum and the Anson Jones House, 1844, a HABS, state and local historic landmark. [S1920] Nancy (Harn) Berman, "Email from Nancy (Harn) Berman 11Apr2006," e-mail to Steven Harn Redman, 11 Apr 2006, (Source: TXGenWeb Grimes Co.). Josephine (age 1, born in TX). William (age 5, born in TX), Benjamin G. (age 3, born in TX). [S1920] Nancy (Harn) Berman, "Email from Nancy (Harn) Berman 11Apr2006," e-mail to Steven Harn Redman, 11 Apr 2006, Source: TXGenWeb Grimes Co.